As match day two begins, Rarotonga premiership winners, Tupapa Maraerenga FC prepare themselves for a top of the table clash against Tonga’s premiership holders Lotoha’apai United FC. 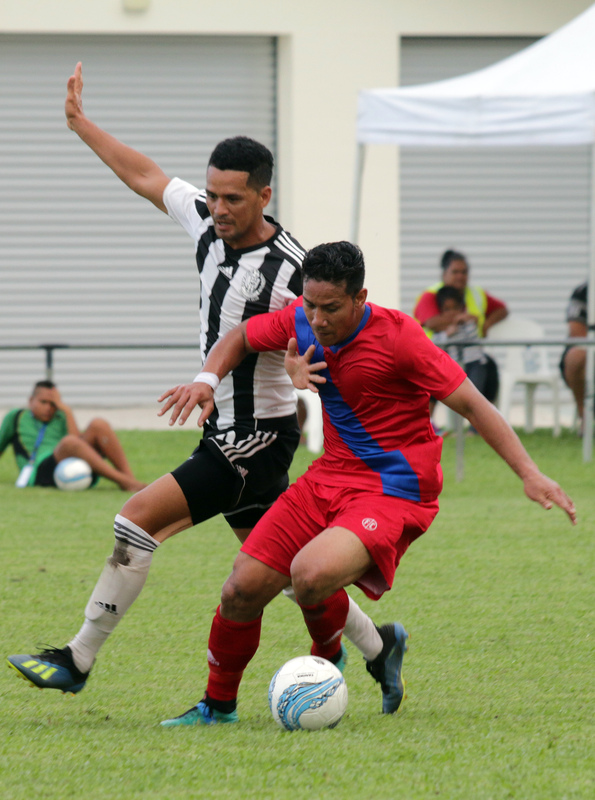 Tupapa took on and beat their Samoan rivals and Samoan premiership winners Kiwi FC on the first day of the competition, 4-1. However, they sit second on the points table by a single goal difference to Lotoha’apai who put away their opponents Pago youth 5-1. Kiwi FC will play Pago Youth FC in the opener Kicking off at 2:30 pm today. Both teams will be hunting down a win to be in the race for a spot in the next stage of the OFC Champions League. The local club, Tupapa Maraerenga will match up against the Tongan premiership champions at 5:30 pm at the CIFA complex in Matavera. The winner of this game is most likely to go on and qualify for the OFC Champions League. Fans can look forward to a fierce battle in the midfield as both teams’ strengths lie there. The midfield battle could most likely determine the outcome of the match with Tupapa’s Grover Harmon and Fauzul Ahmed, and Lotoha’apai’s Pua Falepapalangi and Kamaliele Papani looking at playing the central roles to provide dominance in this game. Next PostTUPAPA ON TOP AFTER ANOTHER WIN.